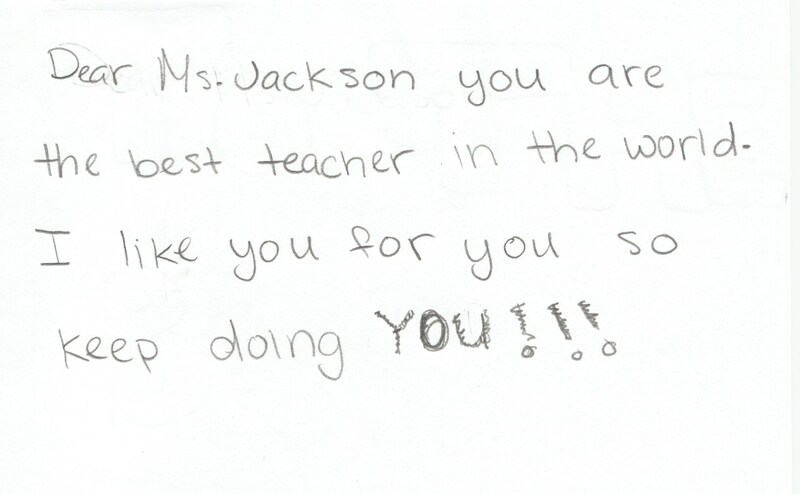 Dear Ms. Jackson, you are the best teacher in the world. I like you for you, so keep doing you!!! 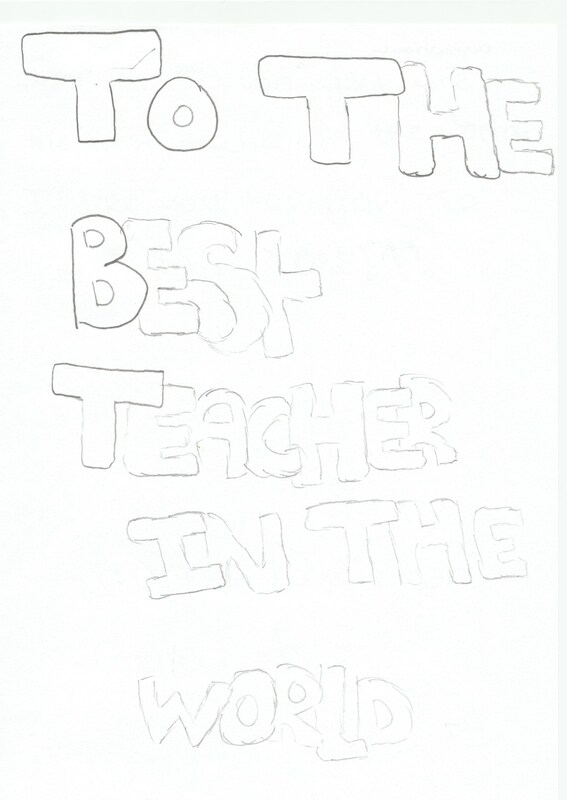 This entry was tagged education, encouragement, gratitude, teaching. Bookmark the permalink.